Home » Blog » Which Type of Veneer is Right for You? Which Type of Veneer is Right for You? Veneers have become a popular way to quickly makeover a smile that is not meeting a person’s desired aesthetic. Because the smile is an important aspect of self-esteem, we support our patients’ decision to disguise imperfections with appropriate care. 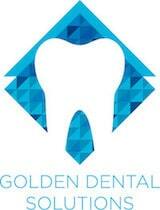 In our Golden, CO office, we perform smile makeovers with both composite veneers and with porcelain veneers. We realize that having two options can create confusion. To help you determine which type of veneer may best suit your needs, we will make a brief comparison here. A composite is made of more than one substance. Composite resin is the final substance from which veneers are made. This material is a compound with plastic and glass. The plastic in composite resin provides structural fortitude (composite is quite durable); glass makes the outcome resemble natural teeth. Can be made in one visit. May discolor over time due to the porous nature of the composite resin. Require little to no reduction of natural tooth structure. Porcelain veneers are popular due to the close resemblance to natural enamel. The high-quality dental porcelain used to create this type of veneer is reflective of natural light, which supports a beautiful sheen in the smile. Are made in a dental lab. Two visits are necessary to complete the course of treatment. Are not porous, so are naturally more resistant to discoloration. Can last up to 15 years with good care. Are durable for normal use (biting and chewing). Tensile strength is slightly less than natural teeth. Biting on hard objects should be avoided. Require a minor amount of reduction to surface enamel. There are two brands of porcelain veneers that do not require enamel reduction. These are popular options for patients who want beautiful results without the commitment for lifelong maintenance. When reduction is performed, the treated tooth will need to be permanently covered. Drs. Gill and Kenson want their patients to love their smile, and to achieve the results they want from cosmetic dentistry. To learn more about the veneer process and how it may help you, call our Golden office at (303) 277-9600.